A small name but a large, 400 strong, species. 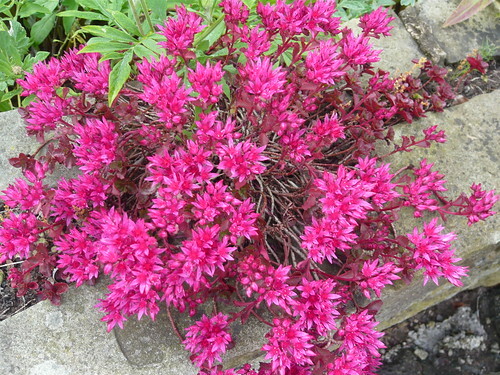 There are many Sedum or Stonecrop family of plants to grow. Sedum is a succulent plant that stores water in it’s leaves. As with other succulents they are often cultivated with Cacti but are easy to grow in a garden. Sedum varieties can make good ground cover from rose-shaped growths in shades of green, yellow and pink. Sedum are not heavy feeders and do not need good soil. That is why the above plant is growing in my wall. Sedum thrive best in full sun or a good light. ‘A Sedum mat is a base layer of Polyester, Hessian, or porous polythene depending on the supplier, on which is laid the 2cm growing medium, on to which is sprinkled sedum cuttings. These grow into the substrate to maturity.’ according to the Green Roofs Organisation. A Sedum mat typically adapts well to poor soil and exposed sites making it an to grass. Enviromat is also especially suited to the UK climate and incorporates all the growing medium that the sedum plants need. 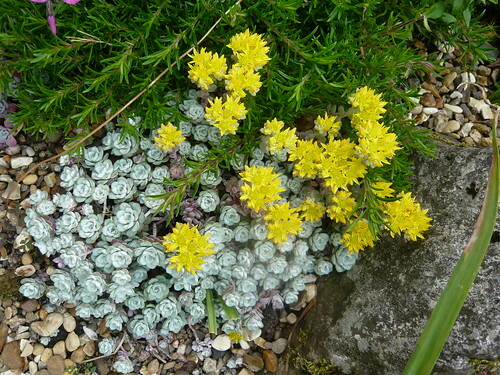 Sedum can be used on a soil-less surfaces for example a sedum roof or sedum carpet. A National Plant Collection of Sedum is held by Ray Stephenson, Choppington, Northumberland. 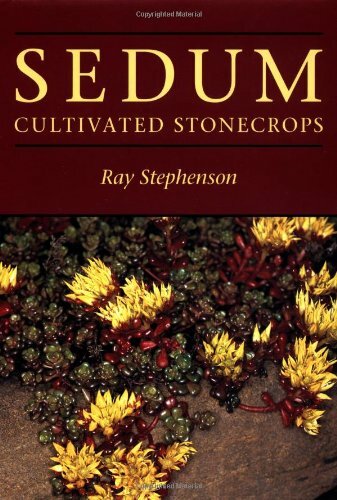 He also wrote the authoritative text ‘Sedum Cultivated Stonecrops’. More images of Sedum are available on Google but it is fun to grow and photograph your own plants. Grow from seed via Thompson Morgan. The mix depends on crops available.